Crate Ford engines are a lot of fun. These motors are completely drop in ready. Add your favorite accessories and you can turn the key in your ignition for the sweetest sound you’ve ever heard. You have an engine problem and we have the solution. 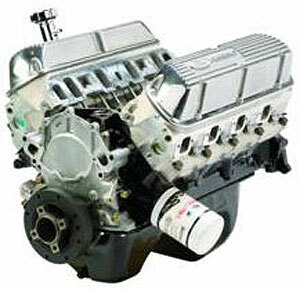 We know you’ve already searched Google for what seems like days trying to find Ford crate engines for sale that are priced right and shipped fast to your door. Your journey ends here. What do you get with our crate engines? Exactly what you crave. More power. More torque. No rust. No leaks. Just pure, raw horsepower that will do things to your vehicle that you only heard about hanging out behind seedy garages after business hours. We build engines so you don’t have to worry about the potential of making a mistake. Our staff of engine experts has the experience and training that is required to disassemble, reassemble and fix any Ford motor. Our specialists work long, hard hours in our garage putting together dream engines for our customers. You will not find anything not to love in our crate Ford engines. You get OEM Ford parts, completely clean components and an engine that is ready to do what you want it to do whether it is legal or not. You don’t have to worry about damaging your transmission. Our engines are powerful, but will not hurt your added accessories. We provide you the power and you provide the steering. We’ve seen those dusty crate engines that line the inventory of so-called “custom crate engine dealers” online. Our engines do not collect dust because they do not sit around. We have a high turnover not just because our prices are so low, but also because we know how to buy the right inventory to put together a custom engine that is not supposed to sit on a warehouse shelf. Our crate Ford engines for sale are in demand and we guarantee that our customers will be 100 percent satisfied with every purchase. There is nothing quite like bolting down a new engine that will give you years of performance. We are never surprised when we complete a sale and a customer is shocked to learn of our extended warranty. We don’t get tired of hearing how great our warranty is to protect our engines that have our name. We pay our engine experts very well not because we have to, but because they are passionate about building Ford engines and take great pleasure in a job well done. We do not have an open door for just any new hire to waltz in and expect to work for our company. We find, train and retain the very best experts to make sure that we have high quality crate engines for sale at the lowest prices we can offer and still keep our doors open. Call us at (336) 355-5679 or fill out our quote form and prepare to be amazed at how low our prices are and how fast we ship to your door.